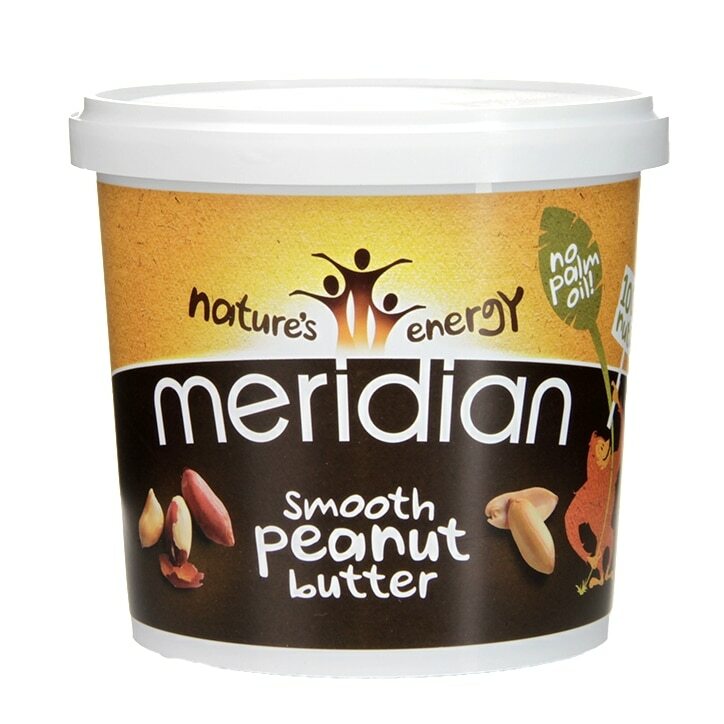 Meridian Natural Smooth Peanut Butter is rated 4.9 out of 5 by 89. Rated 5 out of 5 by Roba from Lovely taste Peanut butter is an essential part of my everyday diet and I can't live without it. the usual supermarket stuff is full of palm oil and sugar but this one is absolutely not. it has the right amount of natural peanut oil to makes it spread easily on bread. I am glad I decided to try this peanut butter plus you can't beat the price. Rated 5 out of 5 by Lizzyb31 from Vegan heaven My daughter loves this mega nutritious peanut butter. It’s great to see her getting good nut protein and i’m very popular when I come home with two tub loads using the buy one get one half price deal.